The DPS50-M freestanding external power adapter features full medical safety approvals (non-patient critical) for use in low power medical, dental and laboratory applications such as dialysis machines, monitoring equipment and infusion pump controls. The series comprises of five output models that have a universal input that accommodates any voltage in the range 90-264 Vac and 127- 300 Vdc, making them suitable for use anywhere in the world. 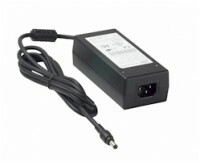 The DPS50-M series power adapters provide a very flexible, pre-approved power solution for a wide variety of portable and desktop applications, including instrumentation, telecommunications, computer peripheral and test and measurement systems.